There’s nothing as beautiful as this gleaming pearl blonde shade, which catches the light just like a precious stone! 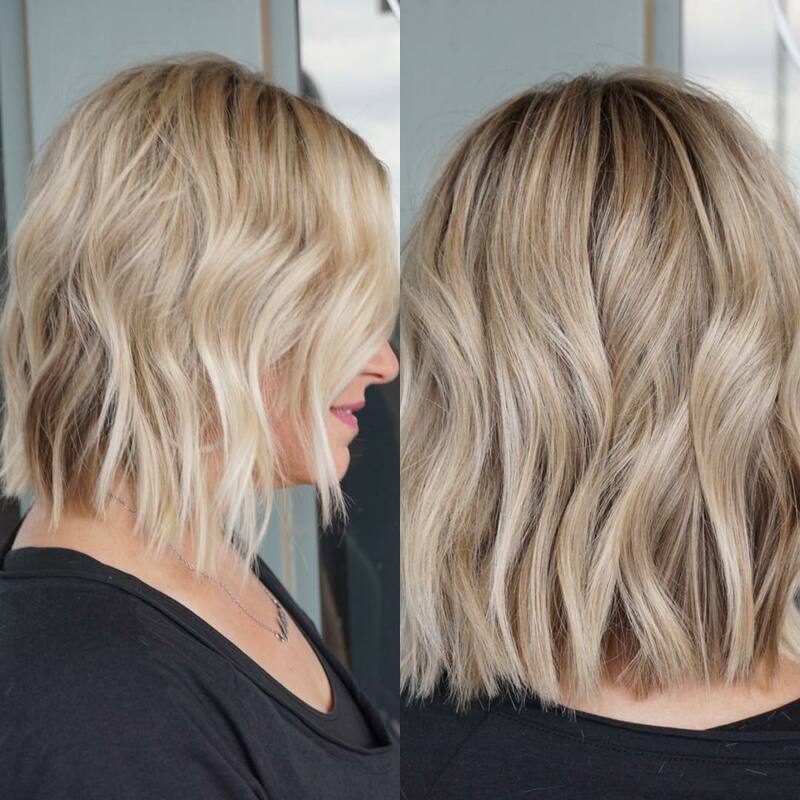 This long, angled bob is an easy-style haircut with a lovely, casually tousled finish. 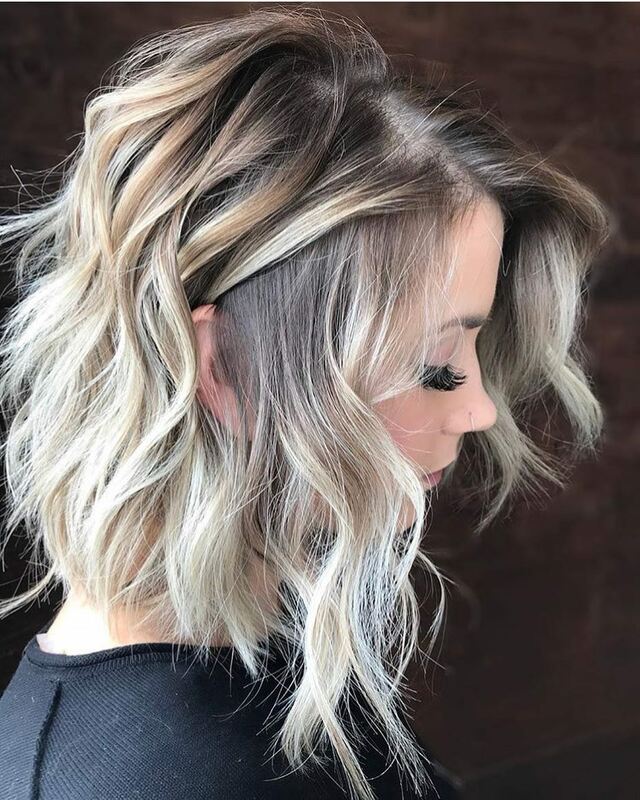 And to make this shade suit pale skin with a warm undertone, there are subtly blended shades of beige, and pink toner, to warm up the cool ash-blonde color. The champagne-blonde shade frames the face with light in a trendy, and feminine, wavy haircut! 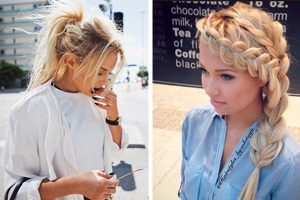 This a fabulous way to wear fine hair in a longish style, without it appearing thin and stringy! Fine hair is so silky that it tends to lie close to the head, which can be unflattering and not very interesting. But if you choose a medium-length haircut, you can show off the silky texture and get additional volume from waves and clever coloring. Medium-length hair with textured tips keeps all of the density of your fine hair, but is light enough to be ‘fluffed-up’ for a thicker look. And this lovely blend of light golden-brown shades is expertly highlighted with gorgeous metallic gold. And pale golden-blonde suits medium skin-tones with a warm undertone, as you can see from the lovely face-framing tresses! 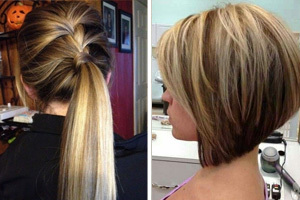 These two shots of the same medium-length haircut show its versatility and the effects of expert balayage techniques. 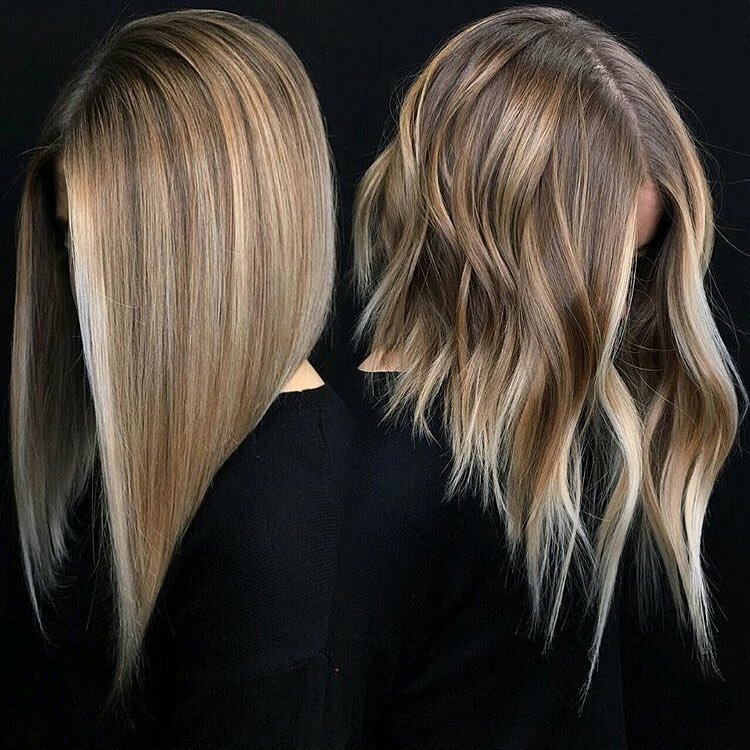 The smooth angled bob on the left shows a modern, steeply angled bob with a beautiful blend of 4 or 5 beige shades in vertical highlights. And the same haircut with added waves gives a totally different look to the hair. Forward twisting waves show more of the darker layers beneath and you get an edgier look from the sharply textured tips! This style has a centre parting, which looks best on oval faces. Here’s a lovely hair design to encourage long-hair-wearers to move up to something more stylish. 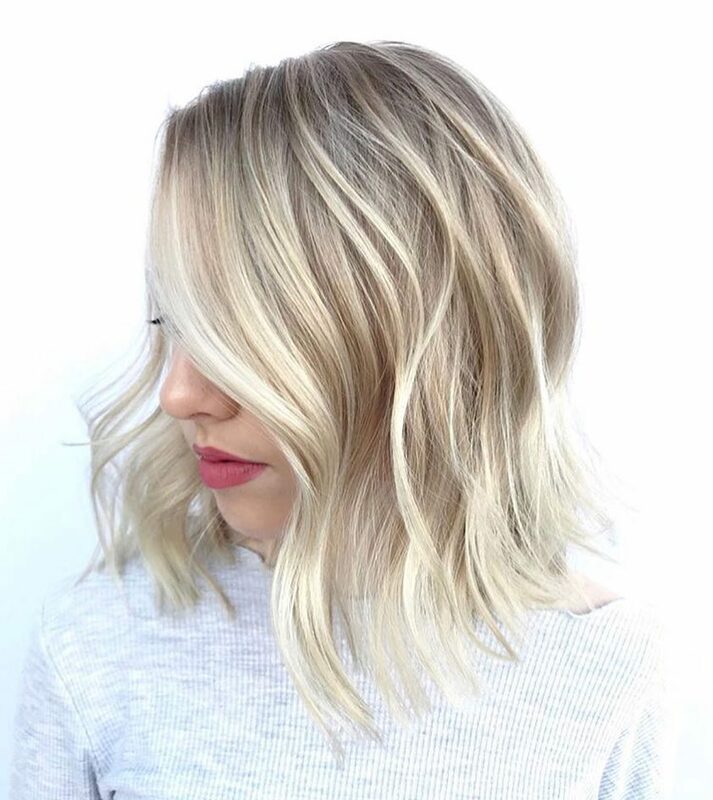 It’s an easy-care long bob with a strong angle from back to front, which ends just past the collar-bone. The darker roots are not too dark – and this softens the effect to avoid looking brash. The light-ash-brown roots look completely natural and a touch of golden-blonde adds warmth, before the light blonde ombré. 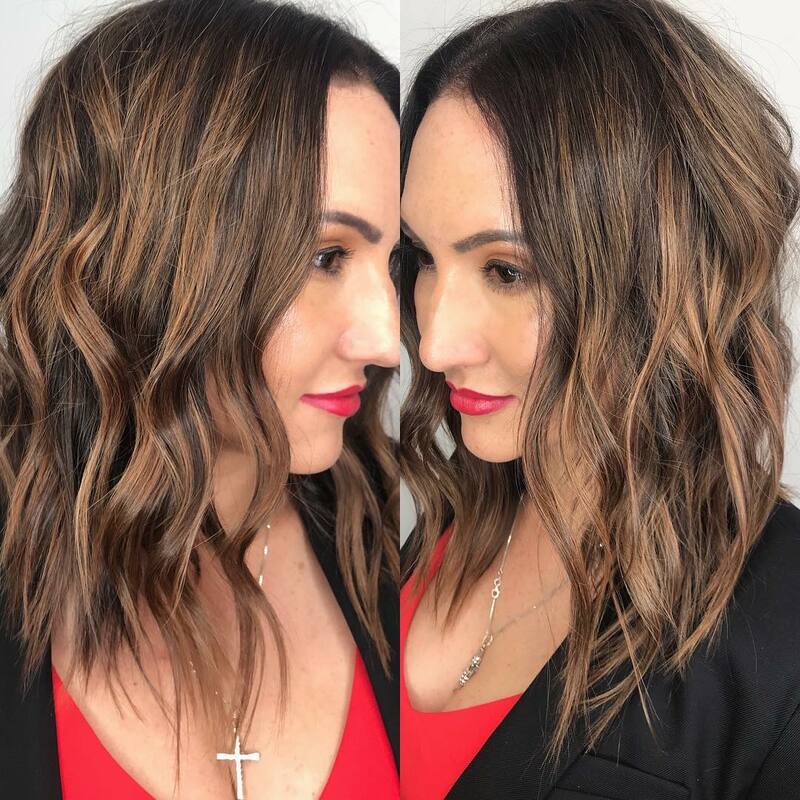 Medium-length layers add volume around the crown and relaxed waves, tucked behind one ear, complete this young and trendy look! 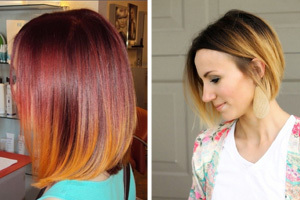 Here’s how to balance your hairstyle between stunning color and a simple cut! This is another style that can be achieved on medium or fine hair, as the layers are long with a slight angle down from the shorter back. Styles that are the same-length or slightly angled retain all of your hair’s available density. The tips are blunt-cut to add bulk, with texture in the straight-cut ends breaking the line for a casual look. The fringe is a modern, straight-across style that’s back in fashion. And the loose waves plus stray, spiky tips are wonderfully picked-out in a range of white, beige, silver and pewter blonde metallic shades! What a great new color idea is this! It’s a well-balanced blend of just about all of the latest blonde color trends! 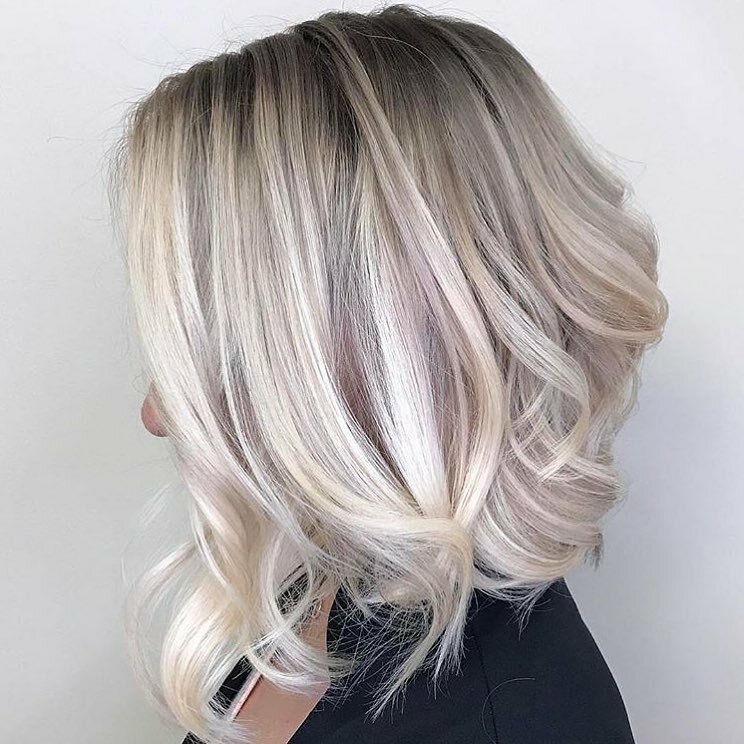 I can see ash, beige, pearl, white and purple all expertly placed to highlight the chunky waves and uneven tips in a gorgeous high-fashion look. The hair has long layers ending a couple of inches above the shaggy bottom edge. And this makes the hair light enough to add volume from defined, random waves. 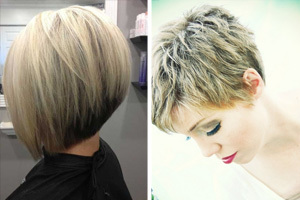 This style is a real trend-setter, full of sophisticated color, wavy texture and shaggy finish. 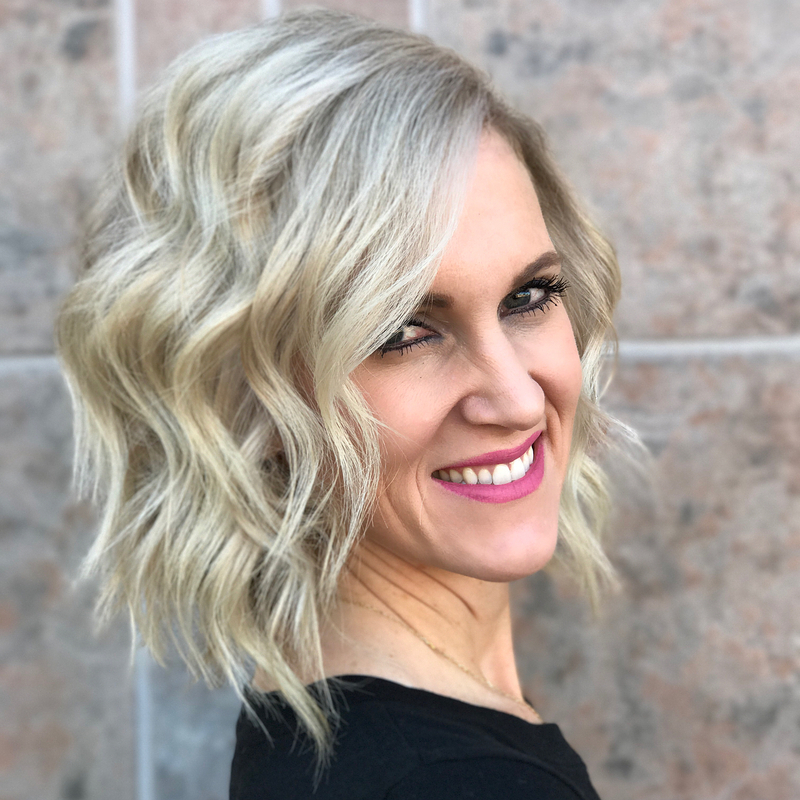 Medium and fine hair types will look fabulous in this hair design! This fun and flirty look is also one that can help to minimise a prominent nose or chin! 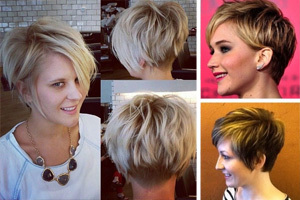 The cut is layered lightly to hold three layers of deep, head waves with a definite touch of Hollywood glamor. But sharply textured tips bring the waves right up-to-date and add a fashionably shaggy vibe. Asymmetry in the side parting and long, swept-across fringe draw attention away from the centre of the face. And there’s more focus on the forehead and eyes, framed with dainty waves. Notice how the waves end in tips directed backwards – not forwards – as this is essential when minimizing a prominent nose or chin. And the model’s pretty smile and bright lipstick complete this face-flattering blonde wavy medium bob! 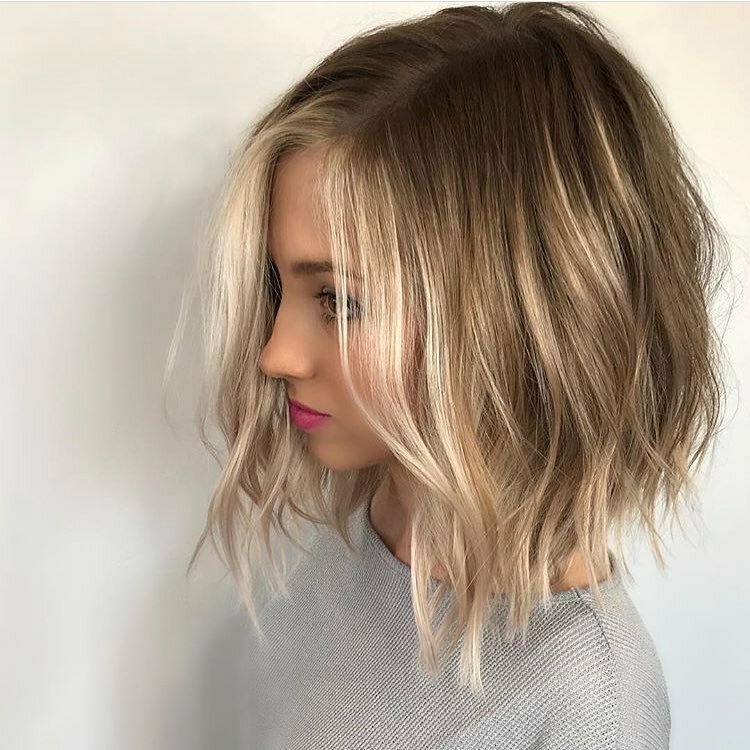 Here’s a lovely, natural hair-color design on a simple long bob, cut to fall at the perfect place to frame the model’s decolletage. This is a great style for medium to fine hair, as it doesn’t depend on natural volume to create the shape. The centre part is perfect for showing off the attractive symmetry of an oval face. And soft, face-framing waves have been placed to accentuate eyes and lips in a flattering way. 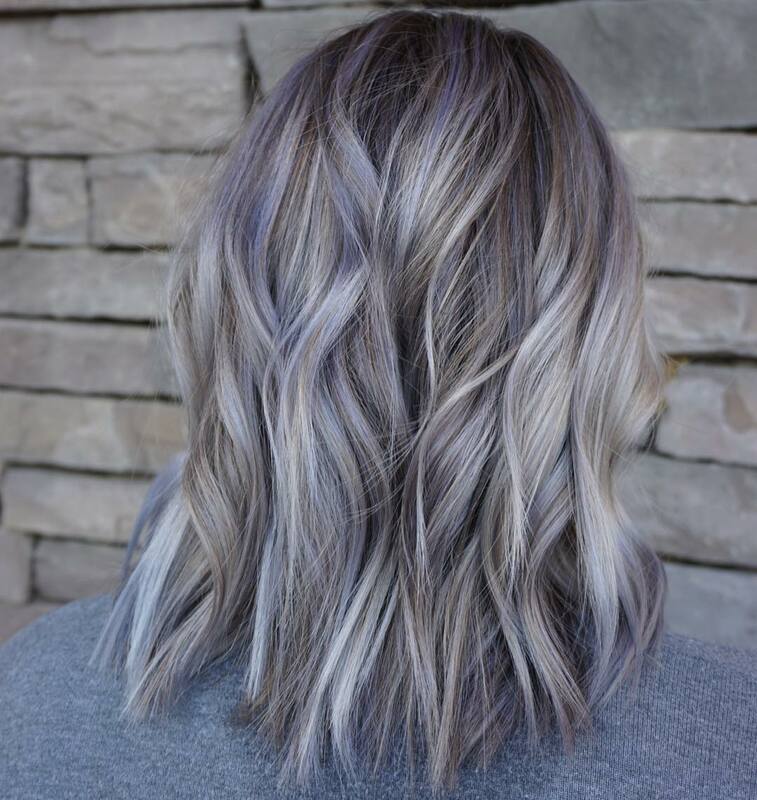 In addition, subtle balayage that’s just a couple of shades lighter, adds the look of thicker hair – along with a casually ruffled finish! There’s something very appealing about this year’s, popular beige-blonde shades. They look closer to natural shades of blonde and have a soft pearly gleam, that’s very flattering to medium (warm) skin tones. 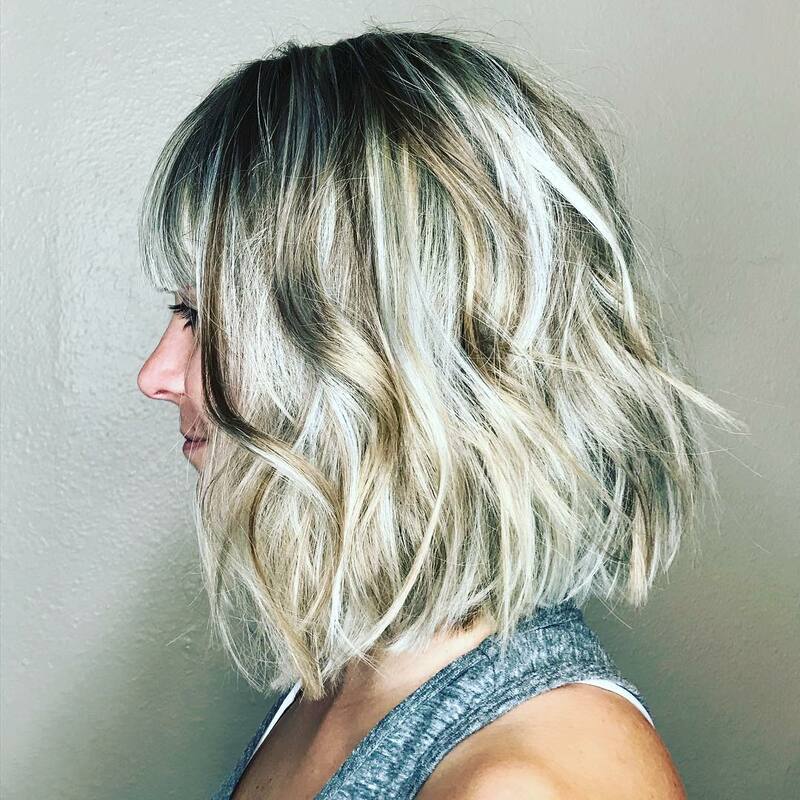 This casual medium-length bob haircut projects relaxed chic from a lightly angled bob with textured, wispy tips at the sides. And shorter layers around the chin soften the line and highlight the model’s lips. 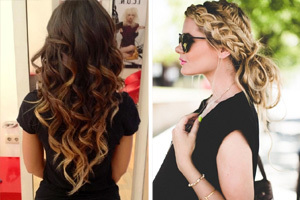 The nape has blunt-cut ends and chunky defined waves in gorgeous beige shades. Medium brown with a hint of copper warms up the roots and nape and creates a gentle contrast to the pearly blonde sides. And here’s one of the latest, ‘natural’, blonde color designs. It’s great for those who had baby-blonde hair as children, that disappointingly darkened to ‘sludge’ gray later on! LOL :/ ! So why not recapture a youthful vibe with an expertly applied blend of beige and ivory blonde shades. 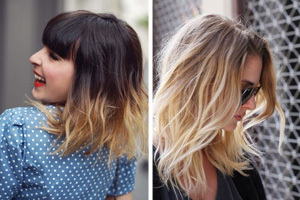 And without dark roots, your hair will look sun-kissed and flatter a pale skin with warm undertones. It’s trendy, too, with ash-blonde tips highlighting the lightly flipped-out texture at the ends. Altogether, this is a fab haircut for medium/fine hair as it doesn’t rely on natural volume. Suits oval, heart or angular faces.